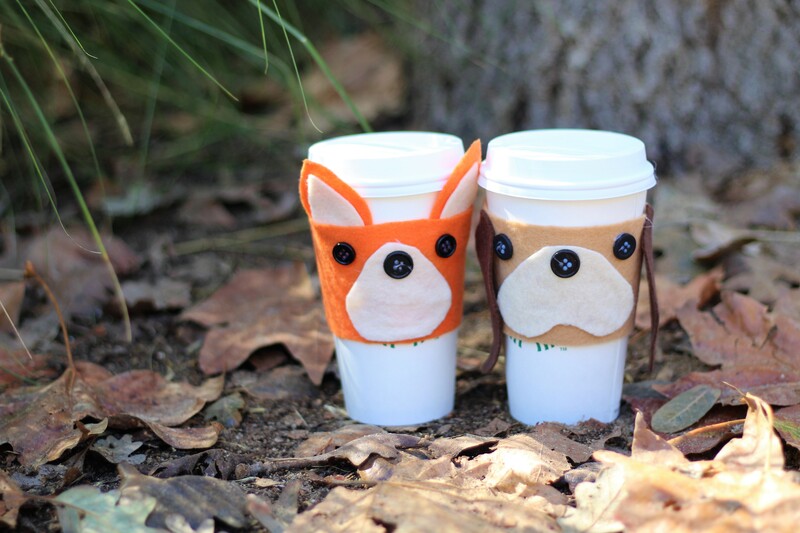 If you’re looking to show your Disney side while you sip a warm, comforting beverage, these simple DIY Fox and the Hound inspired coffee sleeves are the perfect accessory for your to-go cup! Cut out the main part of your Todd coffee sleeve on orange felt, and the main part of your Copper coffee sleeve on light brown. Use the off white felt to trace and cut out the muzzles for Todd and Copper, and the smaller parts of Todd’s ears. Use the dark brown to trace and cut out Copper’s ears. Use orange felt to trace and cut out the larger part of Todd’s ear. Use a hot glue gun to glue on the facial pieces, as well as buttons for Todd and Copper’s nose and eyes. Where your line is drawn on your coffee sleeve, place hot glue to glue your coffee sleeve’s ends together. Enjoy this fun fall, Disney DIY!